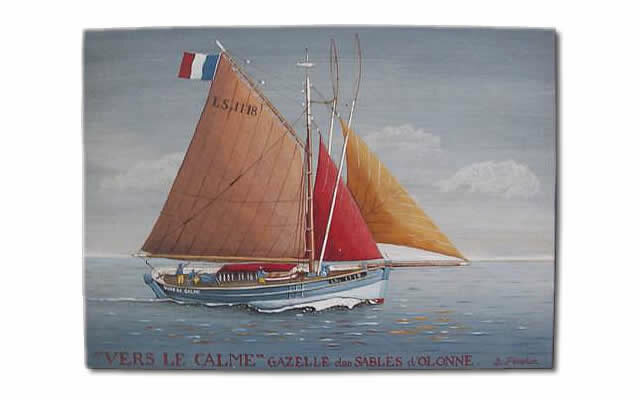 I was always impassioned by working boats ; their wooden hulls and their jolly, bright-coloured sails, whether they hail from Pornic or Marseille, Les Sables d'Olonne, or from Arcachon. 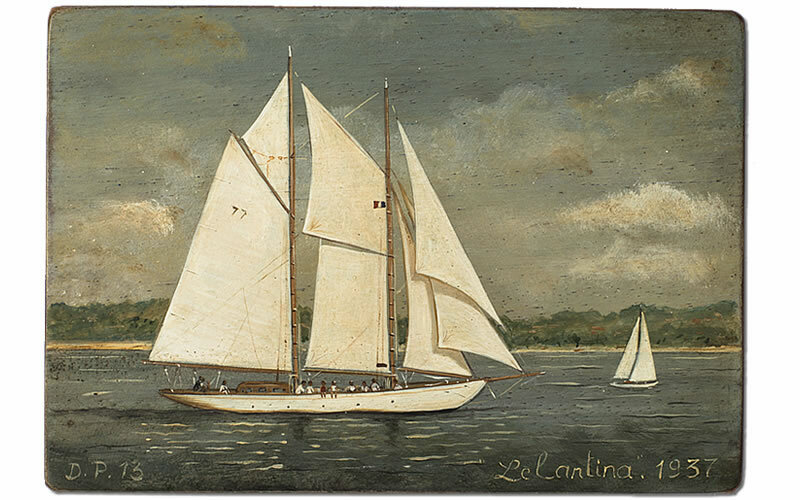 Whether inspired by the work of Paul Emile Pageot or by the "ex-voto" paintings sometimes found in churches, I paint them often in fishing scenes, with each boat reproduced down to the last detail. Exclusively on wood, often on driftwood originating from boats. 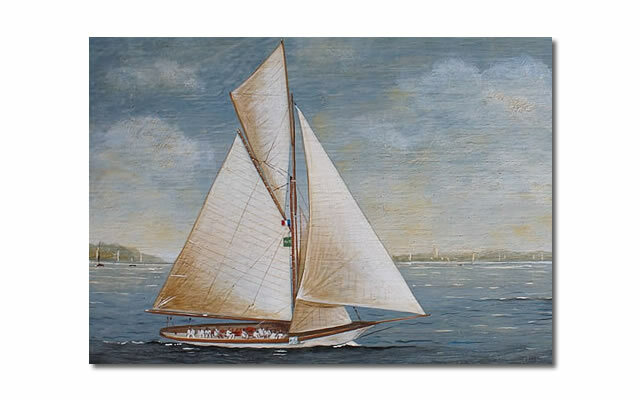 As with the rest of my paintings, my boat seascapes are preserved with wax, and will - with time - acquire a patina which will enhance their subjects. 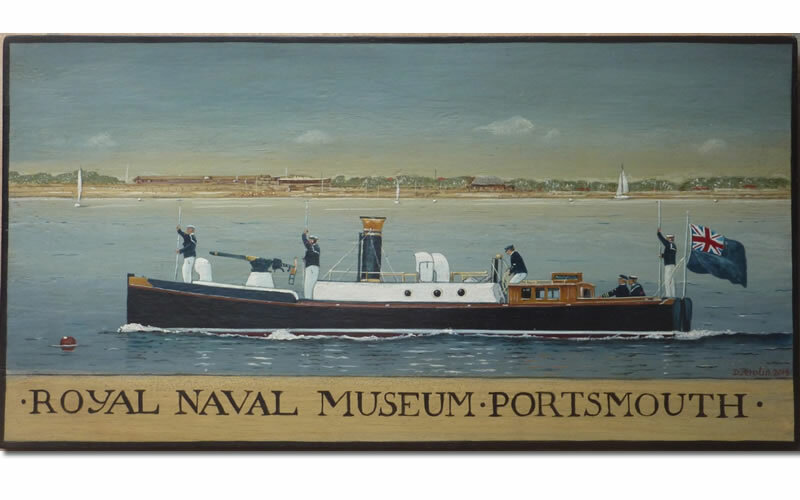 These "boat portraits" can also be personalised: clients often bring me photographs of their own boats. Yacht portraits are mostly (but not only) prepared from views taken in regatta: detailed plans of the boat are also often referred to.